Comprising almost 30 sizes and styles, our DSIGN line offers affordable office signage without compromising style. The sign kits include green-edge acrylic plates which looks like real plate glass, sets of clear and frosted die-cut print film, and stainless steel standoffs. The end result is a sharp and modern design that is cost-effective yet customizable by just about anyone. Coming up with your own custom design can be a lot of fun. 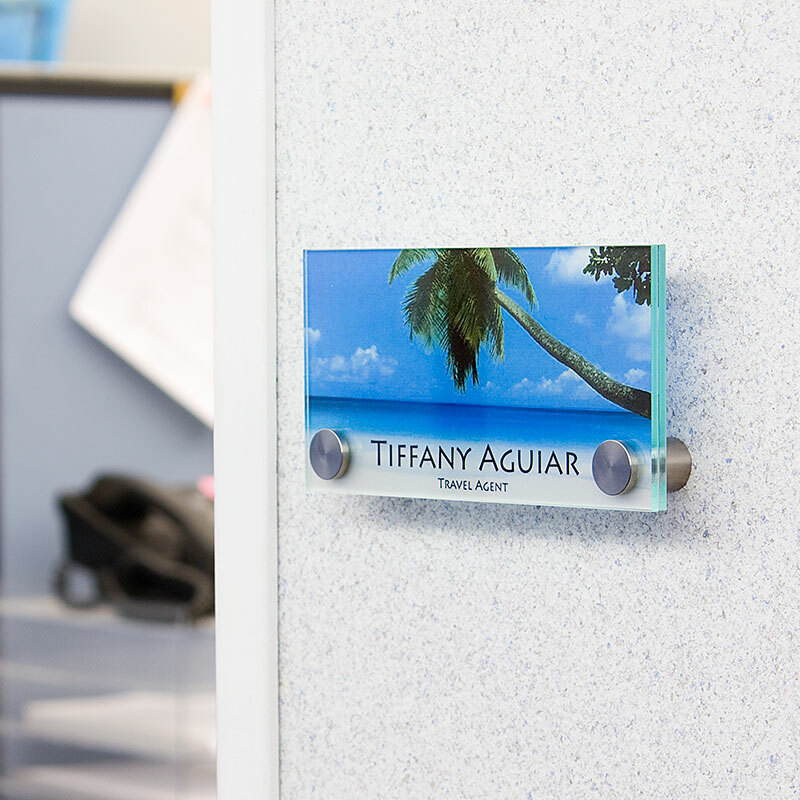 Add your company logo, images, or other content to your DSIGN to customize your office environment. 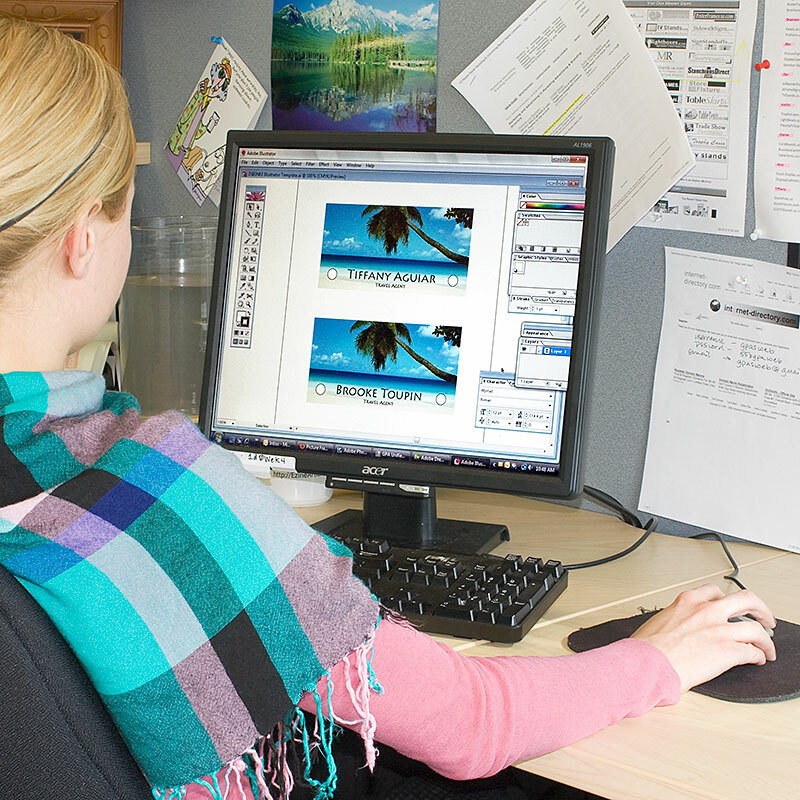 Templates are available online in three formats: Photoshop, Illustrator, and Word. The templates show the field outlines as well as the holes where the standoffs go so you can design around them. We supply each kit with clear and frosted print film for you to choose from. The design can be in black & white or in full color. What's important to know is the film is engineered for use in laser printers or photocopiers only. 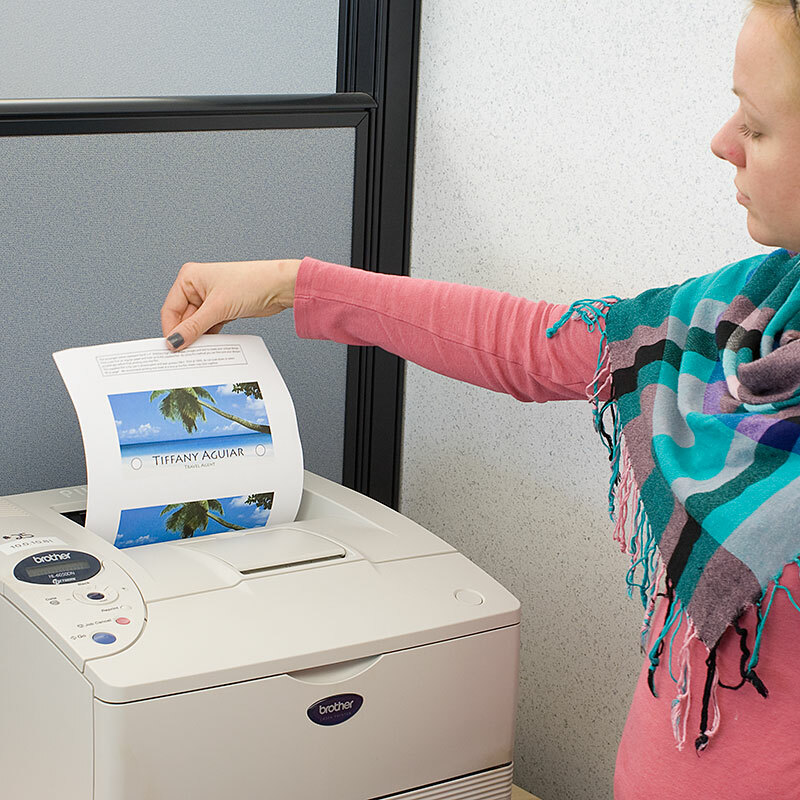 We recommend printing a test on normal paper first to allow for minor adjustments before using up the film. Print at 100%. Do not scale or select "fit to printer". Depending which DSIGN kit was purchased, you may have one or two prints located on the supplied film. Once your print is done the next step is to extricate it from the sheet. The sheets are perf-cut (meaning pre-scored) so all you have to do is fold on the scored line back and forth until the film separates. 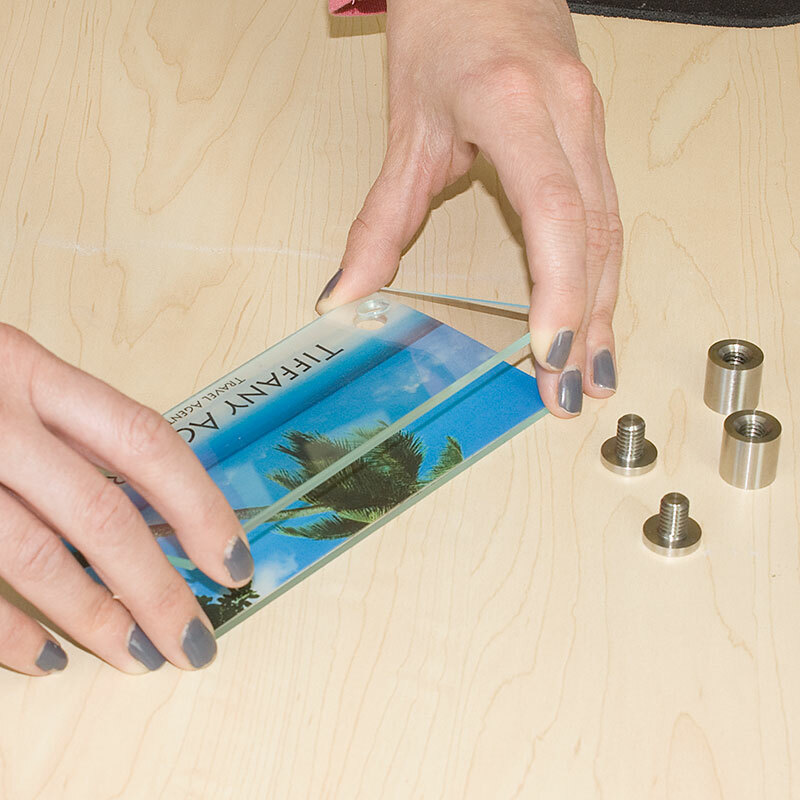 Place your print between the two acrylic plates to check for alignment. Time to mount the standoff barrels to your door or wall. It's important to make sure the standoffs are level for a professional installation. Transfer the marks for drilling by unscrewing the standoffs and using a pencil to mark through the barrel. If the surface is solid you can drill and screw right into it. 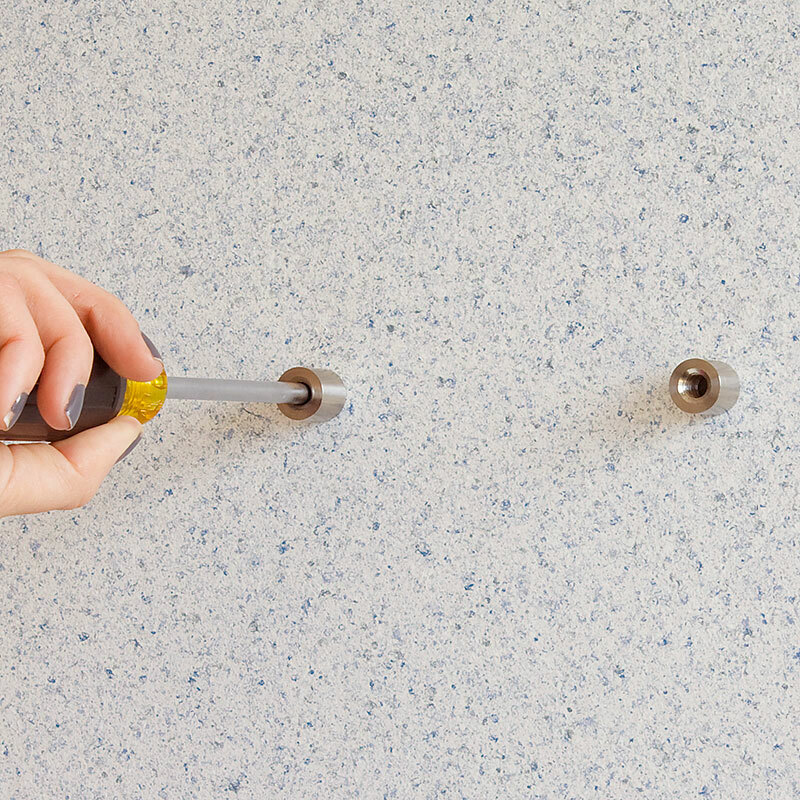 If you have sheetrock and can't hit a stud, wall anchors are recommended. Now is the time to enjoy the fruits of your labor. Take the two acrylic plates with your print sandwiched between them and hold them up to the standoff barrels. Insert the two standoff caps and hand tighten. 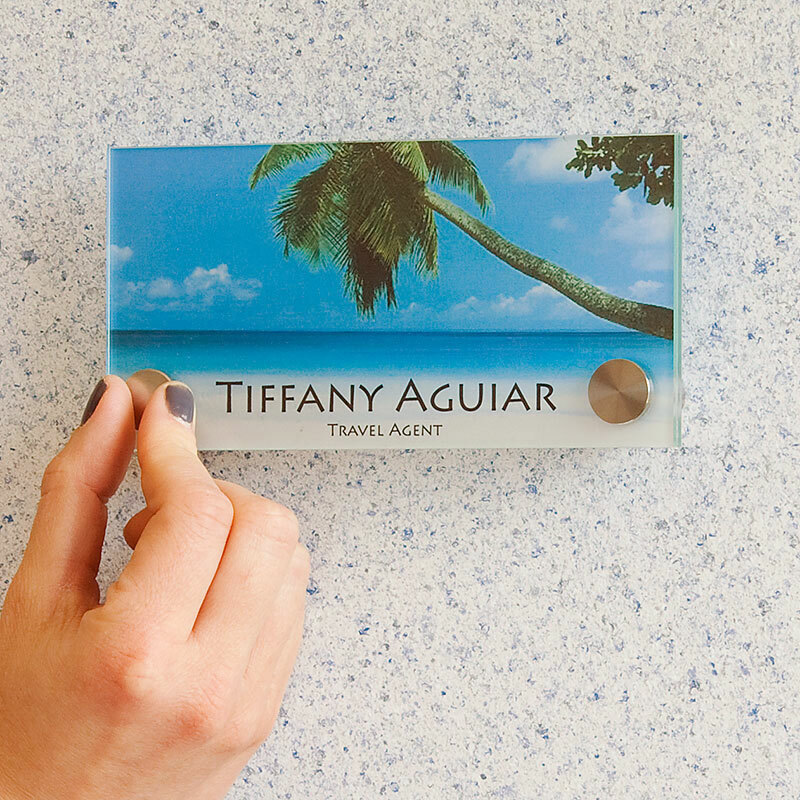 What you have is a colorful nameplate or wayfinding sign for a great price! And the beauty is the sign can be changed or updated simply by printing another graphic.